We appreciate our customers, and we pride ourselves on always having special deals and discounts to provide the most value possible. 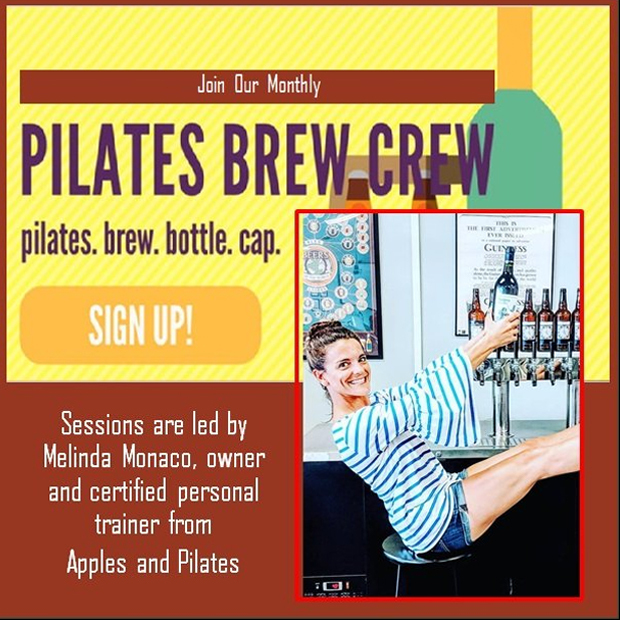 We also hold monthly events that involve brewing, socializing, arts and crafts, and sometimes even exercise! We’re not just a business, we’re a community of people passionate about crafting beer and wine, and we’re always looking for ways to get more people involved. Check out our deals and events below, and follow us on our social media channels to catch the latest news and updates. 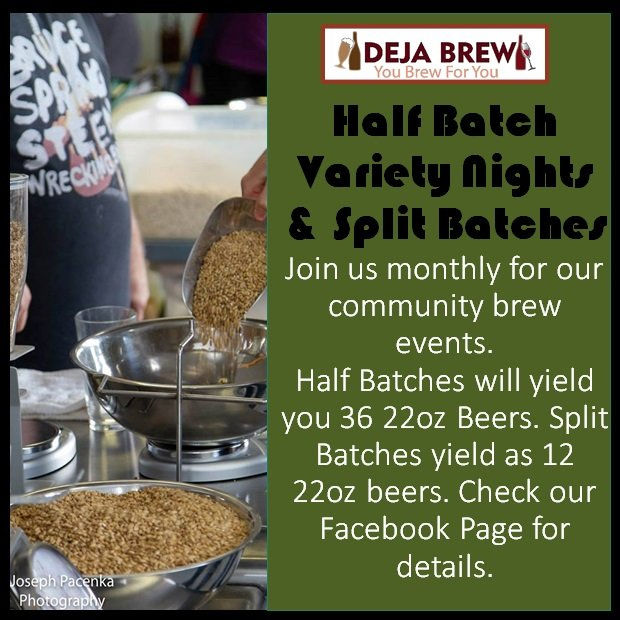 At Deja Brew, we love to keep things interesting by offering a regular schedule of monthly events to brew and socialize with our awesome community. We offer a variety of events, from arts and crafts to exercising, and we almost always enjoy some quality brews in the process. View our upcoming events here, or follow us on our social media feeds for regular news and updates about our events! 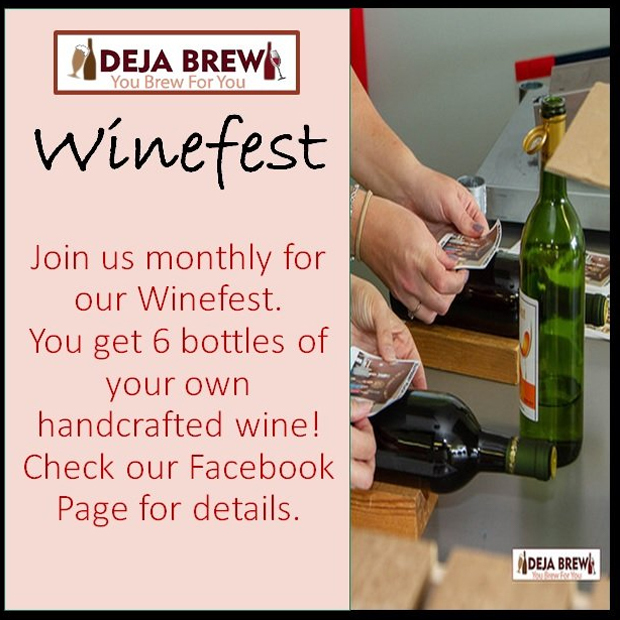 Craft 10 batches of beer, wine, or a combination of the two and receive a $200 credit towards your 11th batch! Organize your own group of 4, 5, or 6 batches and receive a discount. Please call for details!